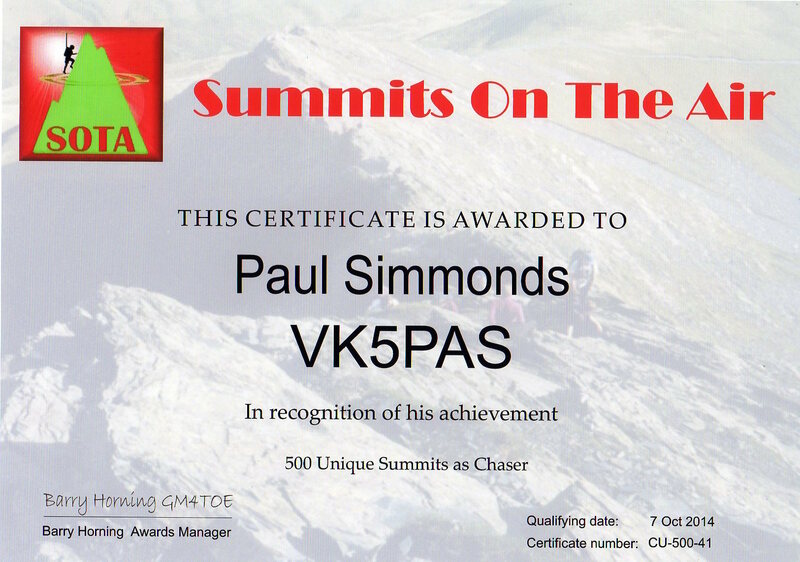 Last night I received my ‘500 Unique Summits as a Chaser’ certificate from England, for the Summits on the Air (SOTA) program. Thanks to all of the SOTA activators who have allowed me to reach this point. Last evening, I added all my contacts that I have had whilst operating portable, to the Logbook of the World (LOTW) and Clublog systems. As a result I was able to find out the total number of QSO’s I had attained whilst either sitting in a park or on a peak for the Summits on the Air (SOTA) program. I also checked off on my spreadsheets, those South Australian National Parks and Conservation Parks that I had activated, and also National Parks for both the Keith Roget Memorial National Parks Award (KRMNPA) and the World Wide Flora Fauna (WWFF) program. Here’s what I found…. VK5 National and Conservation Parks Award. I have activated 10 of the 21 SA National Parks. 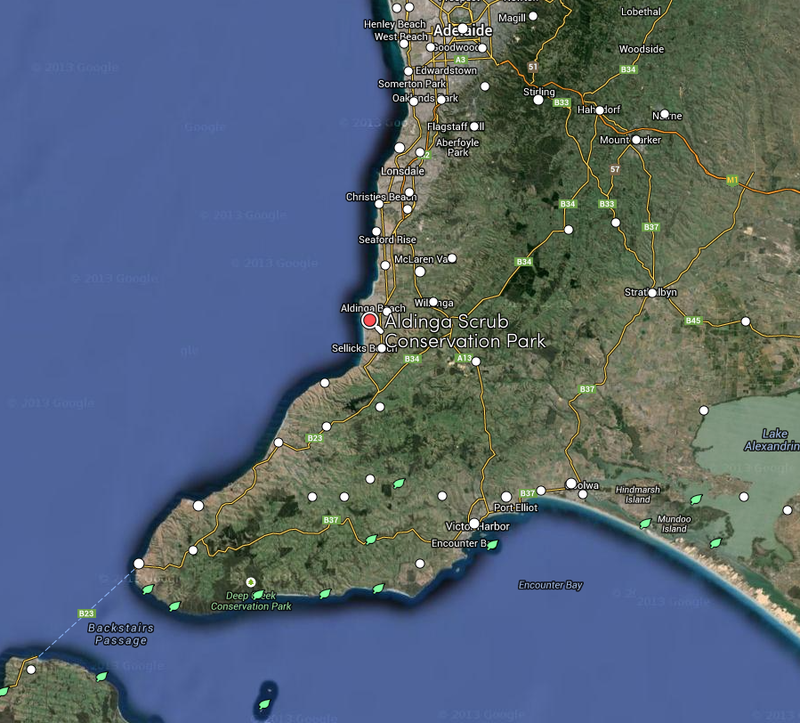 I have activated 80 of the 266 SA Conservation Parks. I have activated a total of 90 VK5 parks (combined National Parks & Conservation Parks). My most activated park is Belair NP. not surprising really considering it is just a short distance from my home. Grampians NP, Little Desert NP, Murray Sunset NP, and Wyperfeld NP. 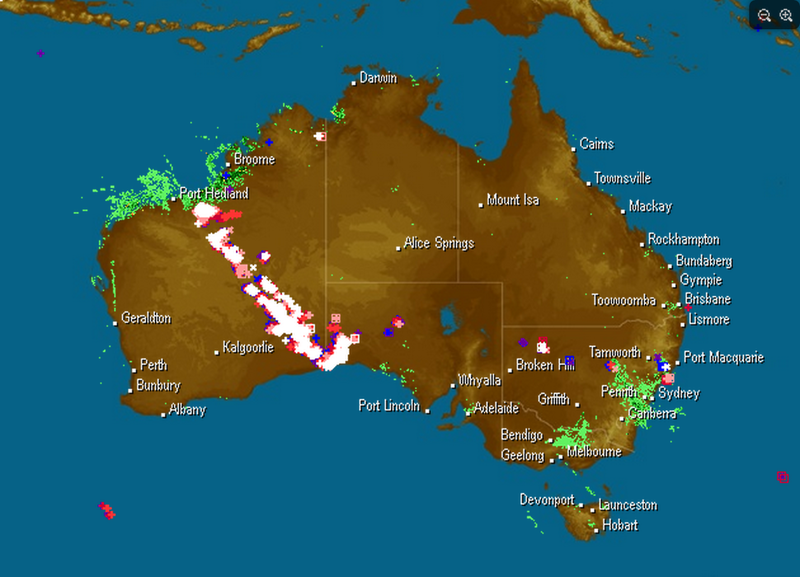 I need Erinundra NP, Lind NP, & Snowy River NP. World Wide Flora Fauna (WWFF). I have worked 172 WWFF parks around the world from 26 different DXCC entities. the majority of those being from Australia (237), followed by Germany (17) and Italy (17). Summits on the Air (SOTA). I have a total of 75 activations and 183 activator points. I have activated summits in4 different Associations in 3 different countries. I have had nearly 5,000 QSO’s whilst operating portable. As you can see from the table below, I am 149 QSOs less than last year, with about 2 months remaining in 2014. I have worked 50 DXCC entities this year, compared to 2013 when I worked 30. I have worked a total of 52 DXCC entities whilst operating portable. I have worked 52 DXCC entities on 20m SSB, and 8 on 40m SSB. The vast majority of those has been whilst operating QRP with just 5 watts. Here is a list of the DXCC entities I’ve worked whilst portable. I’m only half way to ‘portable’ DXCC. My first ever portable activity was a SOTA activation (VK5/ SE-016) in March, 2013. 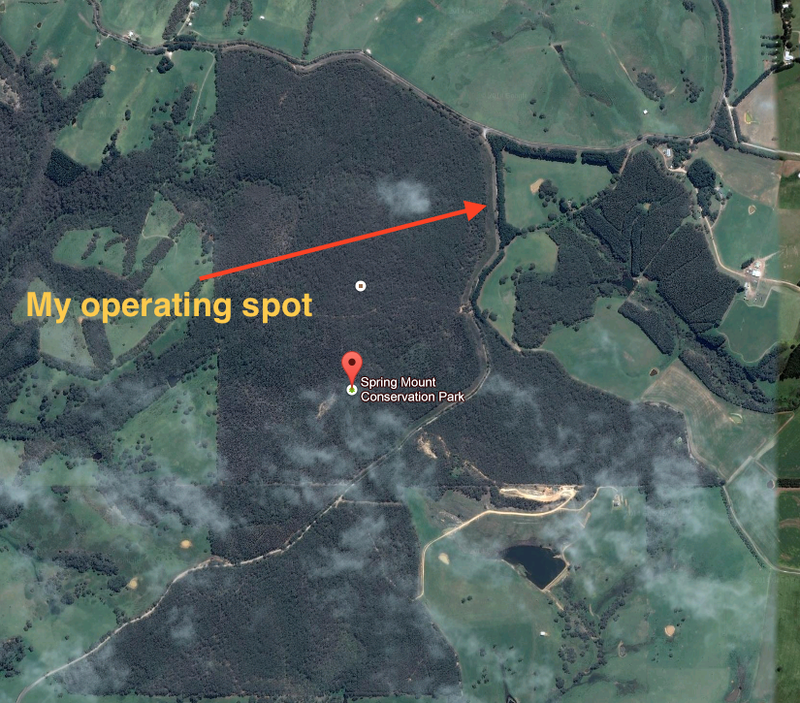 After my activation at the Stipiturus Conservation Park, I headed off to the Yulti Conservation Park, which is located about 60 km south of Adelaide and about 3 km south east of Myponga. Again, I had activated this park in October, 2013, so this new activation was awarded another one point for the VK5 National and Conservation Parks Award. Yulti Conservation Park is also referred to as Yulte Conservation Park. As I mentioned in my 2013 post, the DEWNR website records the spelling as Yulte, and yet the sign in the park shows the spelling to be Yulti. The road leading to the park is spelt as Yulte. Since my last activation, I’ve located some information which suggests that the park derives its name from the Kaurna aboriginal word ‘yulti’ meaning stringybark. For more detailed information on this park, please see my 2013 post….. I set up int he same spot as last year, which was at the end of the dirt track on Yulte Road. Again I used the Yaesu FT-450, 40 watts, and my 40m/20m linked dipole, supported on the 7 metre squid pole. 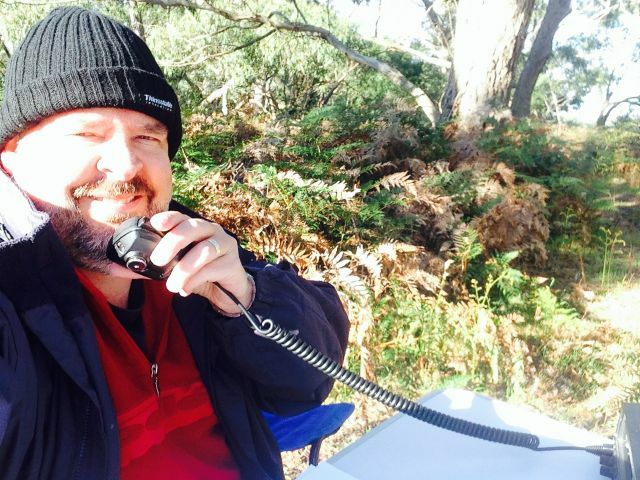 I started off on 7.095 mhz on 40m, and first station in the log was Dave VK3VCE at Bamawm near Echuca in northern Victoria. This was followed by regular park hunter, Nev VK5WG at Crytal Brook, and then Les VK5KLV who was portable near Port Augusta. As per the last activation, the conditions on 40m SSB seemed very good, with some very strong signals coming in from VK3 and VK5. It was again pleasing to get some calls from QRP operators including Ian VK5CZ running 5 watts from the Clare Valley, Peter VK3PF running about 1 watt from his software defined radio, Wolf VK5WF running 5 watts from his home brew transceiver, and Greg VK2FGJW also running just 5 watts. I did ‘t bother trying 20m for this activation, as the band would have been just too busy with the CQ WW DX contest. So sadly I didn’t get any VK4’s or VK6’s in the log for this activation. However, I did attain a total of 22 contacts into VK2, VK3, and VK5 after operating in the park for about 45 minutes. Dave VK3VCE; Nev VK5WG; Les VK5KLV/p; Amanda VK3FQSO; Bruce VK5BMC; John VK5FTCT; Terry VK5ATN; Bill VK5WCC; Brian VK3MCD; Peter VK3TKK; Tim VK5AV; John VK5NJ; Col VK5HCF; Brenton VK3CM; Peter VK3ZPF; Brian VK5FMID; Ian VK5CZ; Peter VK3PF; Wolf VK5WF; Greg VK2FGJW; Peter VK5NAQ; and Connor VK2FCAC. Tiechelmann, C.G. and Schurmann, C.W. 1840, ‘Outlines of A Grammar, Vocabulary, and Phraseology of the Aboiriginal language‘. On Saturday 25th October, 2014, I ventured down to the Fleurieu Peninsula, south of Adelaide, where I activated three Conservation Parks. 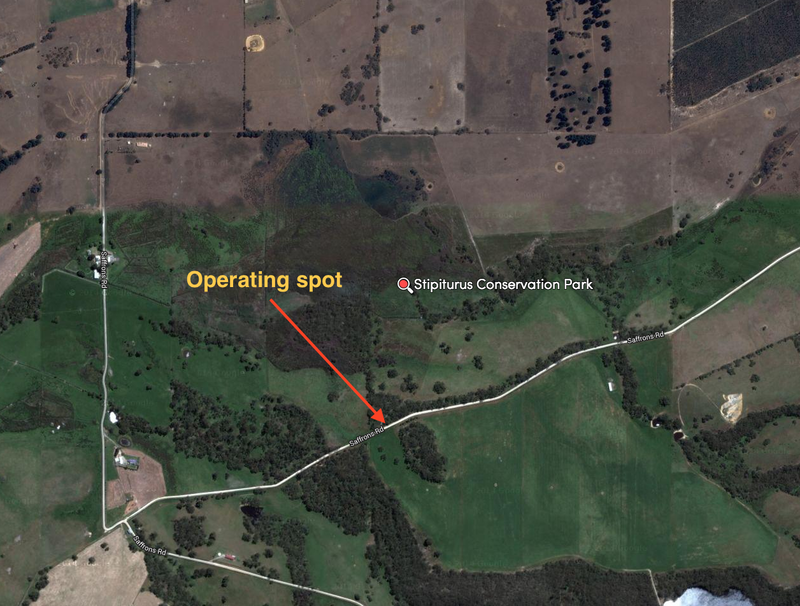 The first being the Stipiturus Conservation Park, which is located about 58 km south of Adelaide, and about 6 km south west of the little town of Mount Compass. I had activated this park in October, 2013. But as this was a new calendar year, I could pick up another point towards the VK5 National and Conservation Parks award. Please have a read of my previous post for some interesting facts about the park….. 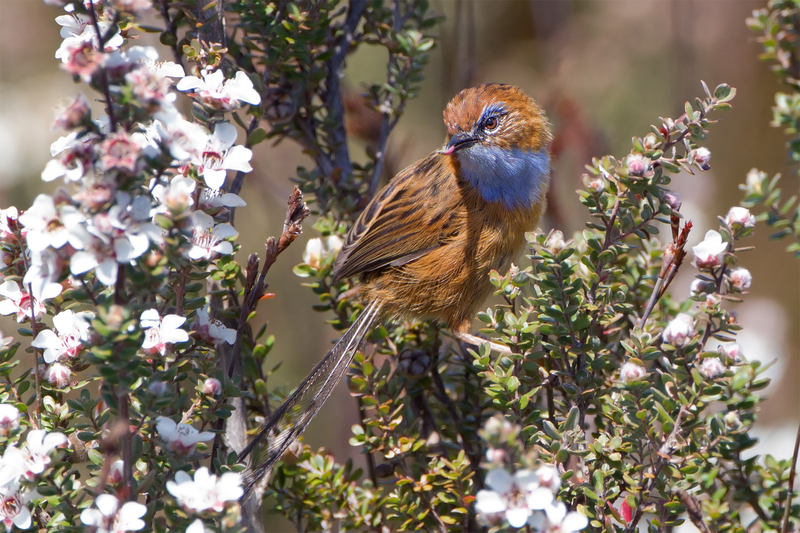 The park is home to one of the largest known swamp-based population of the nationally endangered Mount Lofty Ranges Southern Emu-wren (Stipiturus malachurus intermedius), after which the park was named. Below you can see a photograph of this beautiful little bird. I did see a few whilst in the park, along with many Superb Blue wrens, and a variety of other birdlife including rosellas and wattlebirds. I accessed the park by travelling west along Lanacoona Road from Mount Compass, and then south along Saffrons Road. As you travel south along Saffrons Road you will reach a sharp left hand bend. Once you’ve passed the bend, continue east along Saffrons Road, and you will see the park on your left after a few hundred metres. It is well sign posted. There is a locked gate on the south western corner of the park. To access the park you need to climb over the gate or the fence. Careful of the barbed wire. I can understand DEWNR’s reasoning for locking the gate to keep the ‘trouble makers’ out. However, what it also does is keep the good people out as well. 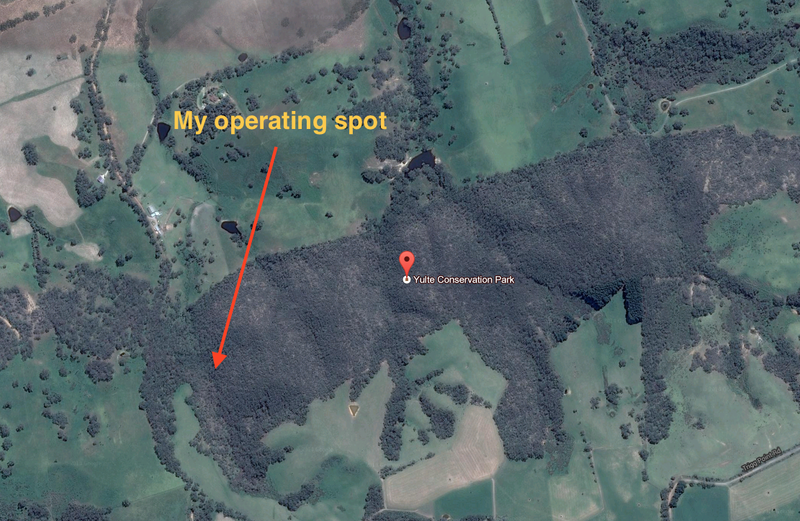 I’ve encountered this quite a bit with a number of Conservation Parks as I’ve travelled around South Australia….having locked gates. My own personal experience is that the ‘bad element’ will get into places if they really want to, no matter what the security measures are. I am sure that there are a lot of less nimble people that don’t bother going in these parks once they see they have to scramble over fences. You need ‘good’ people around these parks, to prevent the ‘bad’ people. Just my opinion. After setting up the deck chair and fold up table just off the small dirt track which traverses the park, I erected the 7 metre squid pole and attached the 40m/20m linked dipole. I ran out one leg of the dipole, and then the other, and noticed that one of the leads to the crocodile clip had broken off. Fortunately I had another dipole in the car, so I retrieved that and erected it on top of the squid pole. For this activation I ran the Yaesu FT-450 and 40 watts output, with the radio powered by my 44 amp hour power pack. I tuned to 7.095 and asked if the frequency was in use, and was immediately greeted by Larry VK5LY from The Riverland with a very strong 5/9 plus signal. This was followed by Brian VK5FMID in Mount Gambier, and then Robin VK5TN, also in Mount Gambier. Fortunately the band appeared to be in far better shape than last Sunday when I was in the Aldinga Scrub Conservation Park, right in the middle of a Coronal Mass Ejection (CME). A good steady flow of callers gave me a shout from VK3 and VK5. This included a few amateurs running QRP, including Les VK5KLV operating portable from Blanche Harbor, south of Port Augusta. Les was running 5 watts from his little Yaesu FT-817 into a linked dipole. Amanda VK3FQSO also called in, running QRP, 2.5 watts with a nice 5/9 signal. This was followed by a call from Wolf VK5WF using his home brew transceiver and 5 watts, and then Ian VK5CZ also running just 5 watts. I also worked a couple of mobile stations….Jesse VK3FJPM mobile, followed by Peter VK3FPSR. Both had good 5/5 signals and were easily readable from the park due to the low noise floor. At one point I had a VK2 come up on frequency and start calling another station without asking if the frequency was in use. Thanks to the various stations, including Dave VK3VCE, who repeatedly reminded him that the frequency was in use. Eventually he got the message and moved on. After operating on 40m SSB for about 55 minutes, I lowered the squid pole and removed the links in the dipole, and tuned to 14.328 and put out a number of CQ calls. The band was very busy with the CQ WW DX Contest, and it took some time to find a clear frequency. Unfortunately my nominated frequency of 14.310 was busy. I only managed one contact on 20m SSB and that was with VK6SMK. After an hour in the park I had a total of 27 contacts in the log. I was already running behind time, so I quickly packed up my gear and headed off to the next park, the Yulti Conservation Park. Larry VK5LY; Brian VK5FMID; Robin VK5TN; Greg VK5LG; Nev VK5WG; Les VK5KLV/p; Nigel VK5NIG; Art VK3OZI/p; David VK5HYZ; Bill VK3WCC; Terry VK5ATN; Amanda VK3FQSO; Wolf VK5WF; Ian VK5CZ; Col VK5HCF; Tony VK5KAT; Marshall VK3MRG/p; Jesse VK3FJPM/m; Dave VK3VCE; Tim VK5AV; Ron VK3JP; David VK5NQP; John VK5FTCT; Peter VK3FPSR/m; Basil, VK5BK; and Doug VK3FJAE. 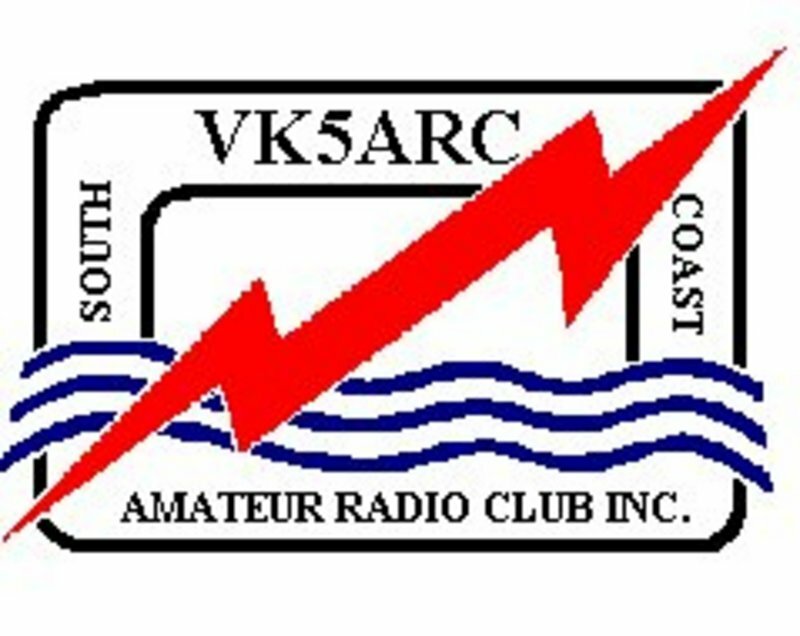 On Thursday 23rd October, 2014 I ventured down to the Seaford Meadows clubrooms of the South Coast Amateur Radio Club (SCARC) and delivered a presentation on the VK5 Parks National and Conservation Parks Award, the World Wide Flora Fauna (WWFF) program, and equipment used for portable operation. A very keen group of about 20 amateurs attended. I spoke about the basics of the VK5 Parks award and WWFF program. And I also spoke briefly about various transceivers that can be used for portable operation, portable power sources, and antennas for portable use. I brought along some of my portable gear including the Yaesu FT-817nd, my 44 amp hour power pack, various antennas, bothy bag, etc. Thanks to Peter VK5PET for asking me to come down to SCARC. 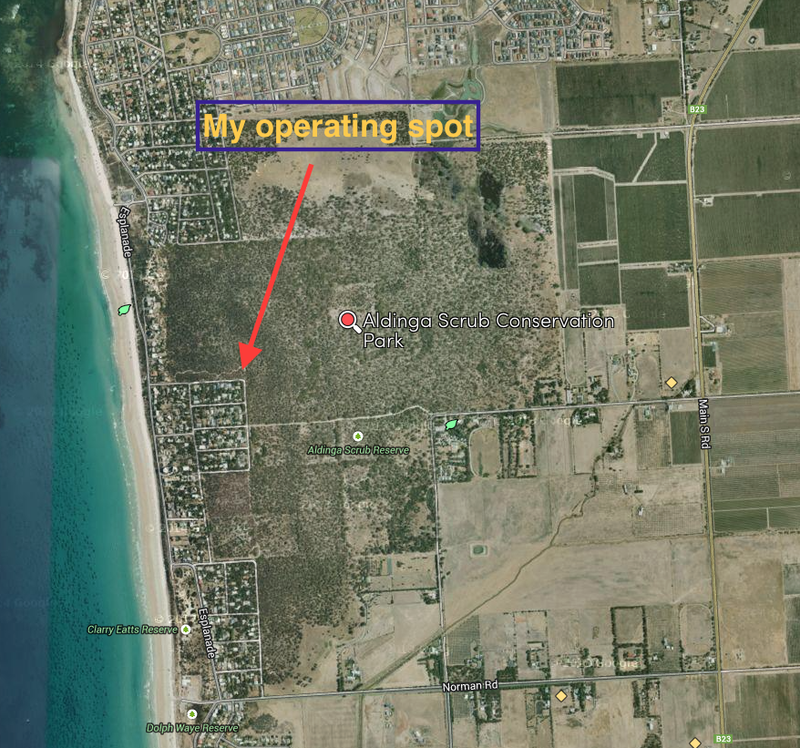 This afternoon (Sunday 19th October, 2014),as promised I headed down south with the intention of activating the Aldinga Scrub Conservation Park, and then the Moana Sands Conservation Park. 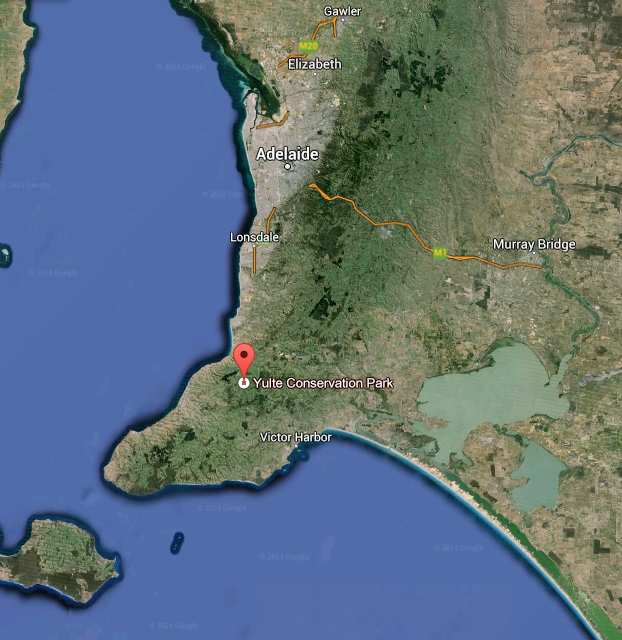 First up, was the Aldinga Scrub Conservation Park, which is situated about 46 km south of Adelaide. The park, which is 300 hectares in size, is home to a diverse range of rare plants and is recognised as a significant area for the conservation and protection of the region’s flora. The park consists of sand dunes, sand blows, mallee scrub, lacy coral lichen, closed heaths, and remnant red gum forests. A variety of wildlife lives in the park including Brush-tailed possums, and Short-beaked echidnas. Over 166 species of birds have been recorded in the park. The park is also home to numerous reptiles including the dangerous Brown snake, and the Red Bellied snake. Fortunately I did not encounter any of these, making as much noise as possible to discourage them from paying me a visit. Prior to European settlement, the area was part of the territory of the Kaurna Aboriginal people. The scrub provided an abundance of food and materials used for utensils. Shellfish, fish, marsupials, reptiles, birds and plant foods such as nerd, moonrise, yams, and quandongs were abundant in the area. Aldinga is the final spelling of a word that has masqueraded as Ngalti-ngga, Audlingga and Alinghi. The meaning of which nobody has ever been able to establish with any degree of authority. There are widely differing opinions suggesting that this means ‘tree district’, ‘much water’, ‘battle or burial ground’, and ‘open wide plain’. Mr. F. Culley was the first European settler in the area, in 1857. Prior to World War One, the scrub was subdivided and several attempts were made to farm the area. However, this did not prove to be viable, due to the sandy soil. During the 1960’s, the local Willing Council became concerned that the subdivision of the area would cause erosion. As a result, between 1965 and 1982, 300 hectares were purchased at Aldinga, to be managed by the State Planning Authority as an Open Space Reserve. 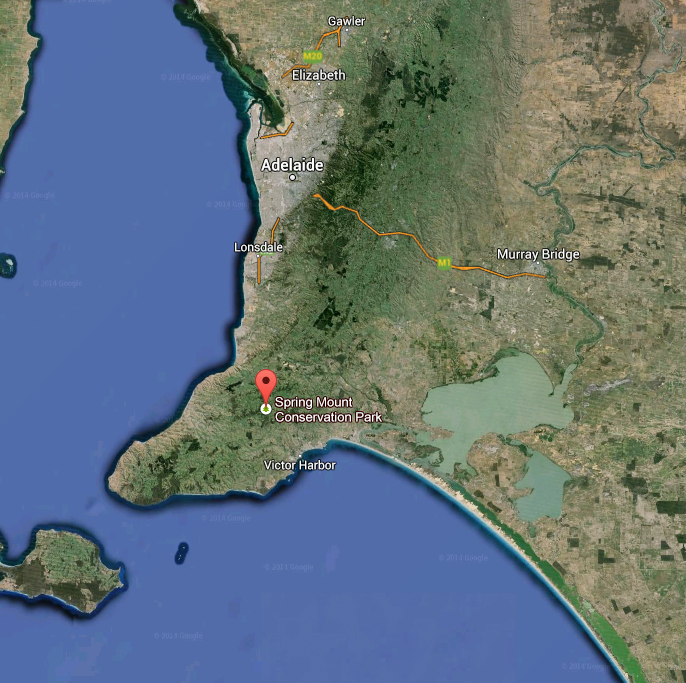 It was not until 1985, that the reserve was declared Aldinga Scrub Conservation Park. To get to the park I travelled south through Echunga, on to Meadows and then Willunga. This is a beautiful drive through the southern Mount Lofty Ranges. I then travelled west along Aldinga Beach Road, towards the ocean, and then along the Esplanade and then left into Quandong Avenue. I parked the car at the corner of Quandong Avenue and Acacia Terrace, and entered the park via Gate 3. I set up about 50 metres inside the park boundary, under the shade of some gum trees, as it was a warm afternoon. The temperature was about 30 degrees C.
After setting up the linked dipole, I turned the radio on to find that the 40m band was very noisy. Prior to calling CQ, I tuned across the band and did not hear a single station. But what I did hear was a lot of noise. And to make things worse, there was some form of pulsing noise every 10kc. Not sure if it was a nearby electric fence. So back to 7.095 I went and put out a CQ call. No takers. This was very strange. The park hunters are normally queued up waiting to work the activators. Another CQ call, and no takers. This was the pattern for the next 5 minutes, despite me sending out a few SMS messages to advise that I was on air. No takers. 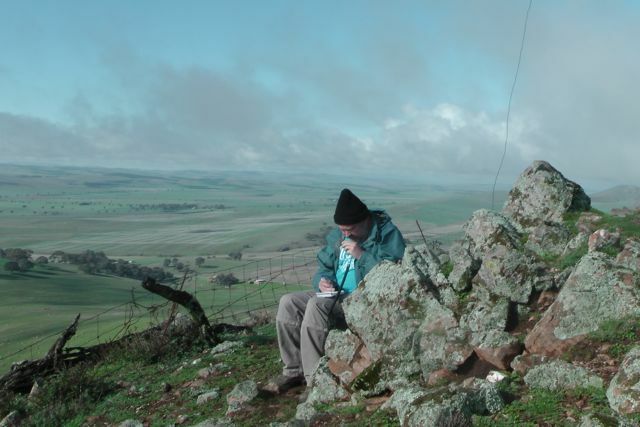 Finally I received a call from Mark, VK5QI, who was operating portable in the Black Hill Conservation Park. So, despite a very slow and not very promising start, it was refreshing to get my first call. And a ‘park to park’ contact to boot! Mark was initially a good 5/6, but then he was GONE! It was as if the band had dropped out. But I persevered and continued to call CQ. Tony VK5FTVR from Strathalbyn then called in. However, Tony’s signal was well down on what I accustomed to. This was followed by Greg VK5GJ from Meadows, who normally always calls me using just QRP 5 watts. Today he was running 100 watts and was only a 5/3 at very best. And Greg was really struggling with me. Wow, this was not good. Despite a number of further CQ calls I had no takers. I did receive some SMS replies from John VK2AWJ and Larry VK5LY, advising that they had no reception and that the band was ‘dead’. So I lowered the squid pole, and removed the links in the dipole for 20m, hoping that conditions there would be a little better. I was to be very let down. I called CQ for about 5 minutes on 14.310 and did not have a single caller. So I tuned around the 20m band, and the only signals I could hear were those of Col VK4CC and John VK4LJ, running the ANZA DX Net on 14.183. But their signals were extremely low as well. I was starting to think there was a problem with the antenna. But the VSWR was showing no indication of an issue. Then I heard Col mention that there had been an X class flare. There was the explanation. It was time to pack up the gear and head home. No reason to persevere. 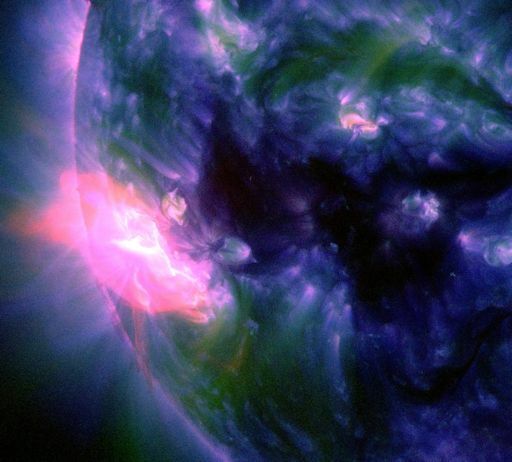 If you want to read a bit more on solar flares, have a look at the following….. The image below shows today’s Class X-1 flare from Behemoth sunspot AR2192. 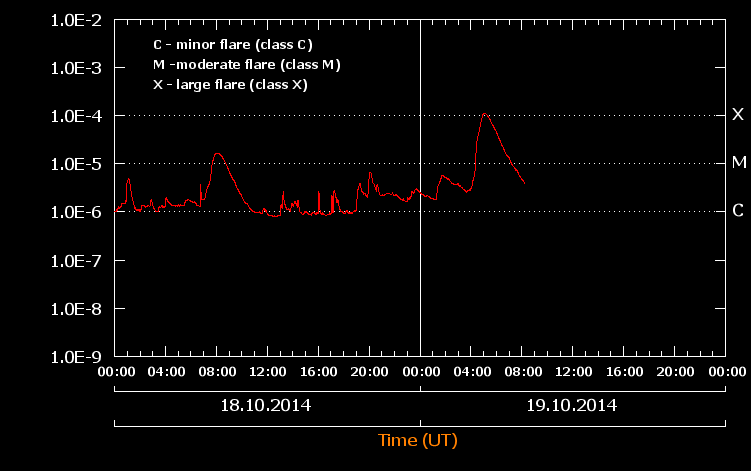 The graph below shows the X class flare. It commenced at 0417 UTC, and it peaked at 0503 UTC. My QSO with Mark was right in between this. I had a grand total of 4 QSO’s for this activation. This was by far, the most least successful activation I have every undertaken. Mark VK5QI/p (Black Hill CP); Tony VK5FTVR; and Greg VK5GJ. 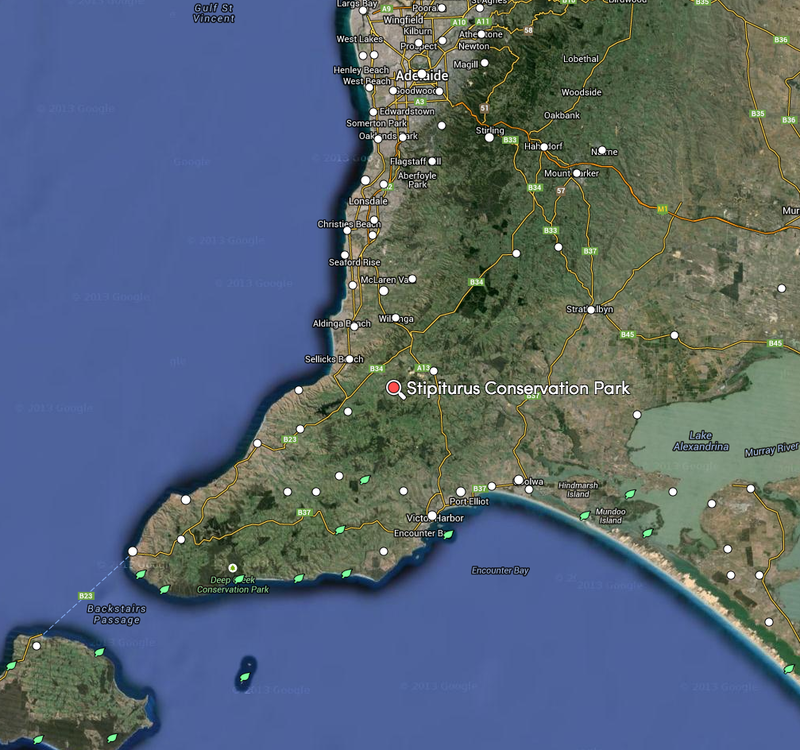 Department for Environment and Natural Resources, 2014, ‘Aldinga Scrub Conservation Park‘.